One of the main priorities of our quality management system is to achieve the highest level of quality in our services and planning. 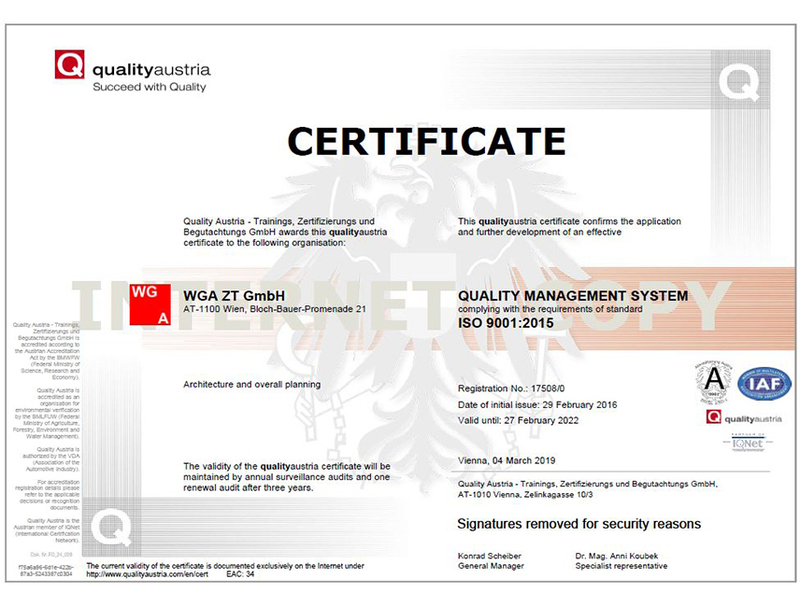 Our quality assurance in not an independent operation, but part of the normal job for every single member of WGA ZT GmbH’s staff. Effective quality assurance is only possible through constructive co-operation at every level of the company. The ISO 9001 quality management standard is the most common and the most significant standard in the field of quality control, both nationally and internationally. • minimization of the error rate and cost reduction.